Your new make-up ally. How does Lashcode work? Can you imagine a day without wearing make-up? I can’t, although, I have to admit that I’m used to applying very minimalistic one. Mainly because of little time I have at my disposal but also because I don’t want to overburden my face with many cosmetics that might clog my skin pores. However, there is one product I can’t resign from – a mascara that defines my eyelashes perfectly. I find a mascara to be this kind of product that should be always close at hand. Also, for me it’s a product thanks to which I can leave my home without full make-up yet with my eyelashes defined. Does Lashcode fulfil this task? Lashcode application is very pleasant because the mascara doesn’t leave smudges on the eyelids, it doesn’t clump my lashes together and is really good at separating the hair. Just amazing, isn’t it? According to the producer, all of the above-mentioned is the result of the velvet formula and the precise brush. I have to tell you that this wand is truly out of the common. On one hand its shape, it looks just regular but, on the other hand, its silicone bristle is thick enough and is really elastic. Basically, the entire brush is flexible thanks to which it bends to adjust easily to the shape of the eye. Definitely, it’s easier to coat eyelashes with such an applicator rather than by using a stiff brush, which can harm our eyeballs if we wield it unskilfully. Beautifying eyelashes with Lashode is just simple. The effect of Lashcode is something I couldn’t obtain by using other mascaras. Just by applying one coat my eyelashes become extended, fuller and covered with a velvet, intensively black layer. They look really natural and at the same time the eyelashes are very expressive and enhanced. Even without full make-up, without eye shadows and eye-liner, Lashcode gifts my eyelashes with a very feminine shape. When I apply two coats, I get, as I call it, the party look. Thanks to this, I can resign from false eyelashes completely. The lifespan of Lashcode deserves to be discussed in a separate paragraph because this is one of the mascara’s features we find the most important, don’t we? I can tell you that Lashcode coats hold out the entire day, and the effect it delivers remains unchanged no matter the time of the day (whether it is very early in the morning, or late at night). It is completely flake-free and smudge-free despite not being waterproof. In my opinion, Lashcode mascara is a cosmetic of a great quality. I’m amazed because I was slowly getting fed up with changing mascaras. I wanted to find this one, good product and so far I think I’ve managed to accomplish my personal mission. Lashcode mascara fulfils my expectations when it comes both to the effects and the lifespan. The price is also bearable because I bought many mascaras of similar cost which, to be honest, were suitable just to throw them out. Luckily, the story with Lashcode ended up differently! 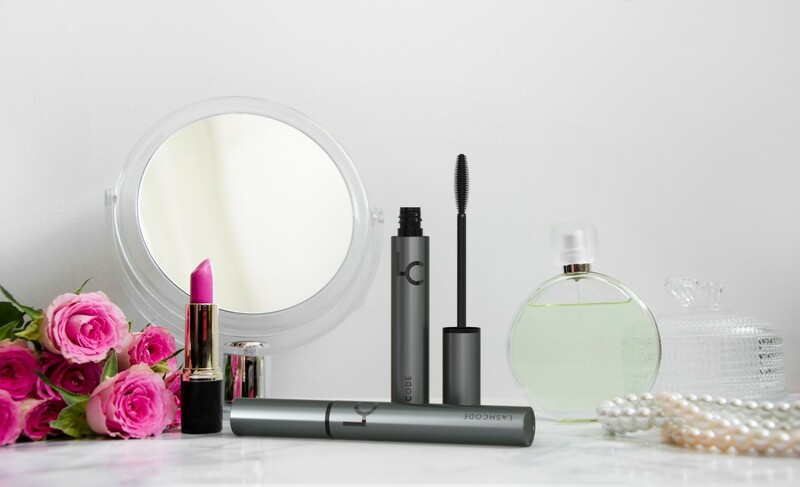 The biggest (positive) surprise are the caring features of the mascara. It has never crossed my mind that it’s possible to take care of my eyelashes during day therefore, I’m positively surprised that Lashcode contains a set of nourishing substances that improve eyelash condition always when I’m wearing my make-up. After a few first weeks I noticed that my eyelashes became stronger and more flexible. Also, I notice less of them falling out. Actually, I also find my eyelashes longer but probably it’s just the consequence of their condition improvement. Would I recommend Lashcode? Of course, I would! I think that this is a beauty product suitable for every woman who expects from a mascara to be reliable and deliver profound effects. Lashcode is something more than just make-up – it’s eyelash beautifying at their very core.